We often get questions from our customers. Here are some of the most common ones and their answers. We hope that you find this helpful. If you cannot find the answer to the questions you have or in case you need any further information, please do not hesitate to contact us here. To place an order at BuySnus.ch you must be at least 18 years old. Cancellation of your is only possible if it has not yet entered the shipping process. Once the order has been shipped, it cannot be cancelled. If you wish to cancel your order, please contact us as soon as possible at info@BuySnus.ch. Since snus is a perishable product, it cannot be resold. Therefore we cannot accept any product returns. This applies to changes of mind as well as to ordering the wrong product. We are also not liable for any shipping damages beyond our control. If you would like to change the delivery address for an order you have already placed, please contact us as soon as possible at info@BuySnus.ch. A change of delivery address is only possible if the order has not yet been shipped. A change after dispatch of the order is not possible. Therefore, please make sure that your delivery address is complete and correct when placing your order. Within your customer account you have the possibility to save five addresses in your address book. During the check out you can simply select an address from it. No. You are welcome to order as few as you wish. Even if it’s only a single can of snus. I HAVE NOT RECEIVED AN ORDER OR SHIPPING CONFIRMATION? If you have not received an order or shipping confirmation by email, there may be several reasons for this. Please check if your email address is correct - and update it if necessary to avoid future problems. Another reason for a missing confirmation could be that your email server has been down for a short time or that the message has ended up in your spam folder. It is also possible that your email storage is full. You can always contact us at info@BuySnus.ch if you would like us to resend the confirmation. If our stocks do not cover the items in your order, we will notify you by e-mail as soon as possible. Your order will not be shipped until all ordered items are available. Partial deliveries are not possible. We strive to keep our website up to date to avoid disappointment when ordering. 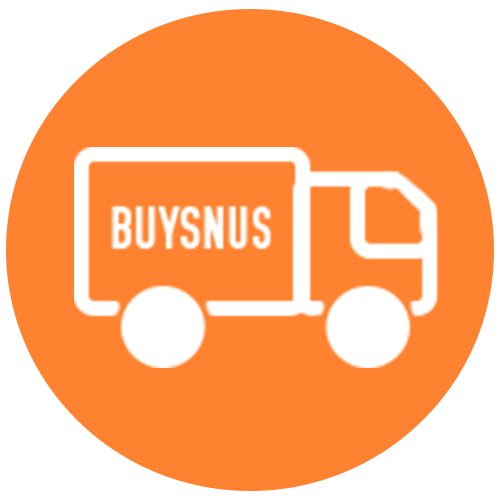 When you are ordering on www.BuySnus.ch bestellstthe shipping costs are always included in the total price. There are no further costs when receiving your shipment. Yes, once your order has been shipped by us, you will receive a shipping confirmation email. This also contains the shipment number with which you can track your delivery. You can either track your shipment within your customer account or on the Swiss Post AG website (https://www.post.ch/de). All orders are delivered by Swiss Post AG. Together with Swiss Post, we have developed a service that makes it as easy and convenient as possible for you to receive your goods. Faster delivery times and Saturday delivery are just two of the advantages of this shipping solution. For example, pick-up slips are a thing of the past: Your shipment will be deposited in your letterbox, milk box (pigeon hole) or at the front of the door. The regular delivery time is 2 - 3 working days (incl. Saturday delivery). Please note, however, that these delivery times are no guarantees. We do not accept any responsibility for shipments delayed due to circumstances beyond our control, nor do we make any refunds in such cases. When ordering, please ensure that the delivery address is correct and complete. We cannot be held responsible for orders that do not reach you or arrive too late due to incorrect or incomplete shipping information. After completing your order, you will receive a confirmation email. In accordance with our policy, we ship most orders within 24 hours (on business days). When packing your order, we take great care to ensure that all products are carefully packed to avoid damage in transit. After shipping, you will receive a shipping confirmation by e-mail. This contains the shipment number, with which you can track your package a short time later. WHAT HAPPENS IF I AM NOT AT HOME WHEN MY PARCEL ARRIVES? Don't worry, if you are not at home when your shipment is delivered, your shipment will be deposited either in the letterbox, milk box or in front of the door. So you don't need a collection slip and save yourself the trip to the post office. As soon as you get home, your fresg snus is waiting for you. CAN I CHOOSE EXPRESS SHIPPING? Yes and no. All orders will be shipped the same way and you will receive your snus within 2 - 3 working days (incl. Saturday) after your order has been shipped. So yes, because the delivery usually doesn't take longer than with UPS Express. And no, because all orders are automatically shipped as "Express". If your order has already been shipped by us, a change of address is no longer possible. It is therefore important that you check your order again before confirming it and that you keep your contact details up to date. If you have made a mistake with the delivery address, please contact our customer service immediately and state your order number and the new delivery address. Our friendly staff will then check whether the change of address is possible and make the corresponding change. Expensive customs bills are a thing of the past. If you order from us, all customs and import costs are already included in the total price. So your snus can be delivered directly to your home without any detours. Please note, however, that international shipments can be randomly opened and checked by the customs authorities. BuySnus.ch cannot be held responsible for delays due to such controls. In Switzerland there is an import limit of 1.2 kg tobacco weight. Therefore you can only order a maximum of this quantity from us. 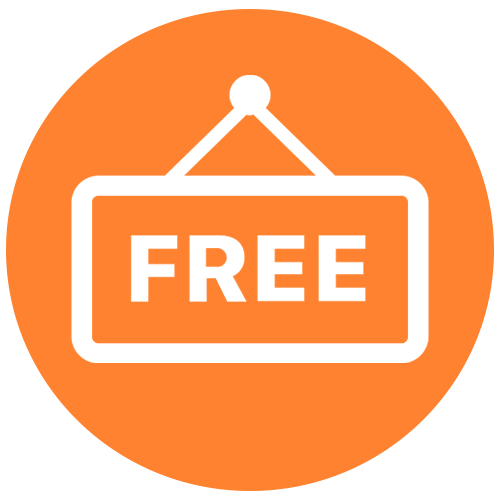 We will automatically show you when your shopping cart has reached the allowed quantity. For each product you will also be shown the maximum quantity still available. WHY DID I NOT RECEIVE MY ORDER? We regret that you have not yet received your order. The delivery times of 2 - 3 working days and serve as guidelines. These are not guarantees and we do not refund or send replacements for late or missing deliveries. Delivery may be delayed due to unforeseen circumstances. Fortunately, this is rarely the case. Please also make sure that you enter the correct address when placing your order. We will use exactly the address you entered. BuySnus.ch is not liable for orders that are missing or delayed due to incorrect or incomplete address information. In the event of incidents or circumstances beyond our control, BuySnus.ch is not responsible for compensating you for late, missing or damaged orders caused by uncontrollable events or circumstances. We do not accept returns because snus is a perishable product that may not be sold again once it has been shipped. If you have ordered the wrong product, we are not obliged to replace your goods - especially if the damage is beyond our control. If the defect or damage is clearly due to our fault, we will of course send you a replacement product. Please report any complaints about transport damage directly on delivery to the postman. If your parcel was deposited at your address, report the damage to your nearest post office. BuySnus.ch is not responsible for any loss, delay or damage beyond our control. HOW CAN I PAY AT BUYSNUS.CH? We use an SSL (Secure Socket Layer) secured server which is password protected to ensure that all transactions on BuySnus.ch are secure. You can find more information in our Payment section. HOW DOES THE PURCHASE ON INVOICE WORK? With us you have the possibility to pay your order on invoice. We offer this service together with Byjuno AG and the General Terms and Conditions of Byjunon AG apply These you can download from the Byjuno website: http://byjuno.ch/en/r21b/terms/. Prior to the finalization of the purchase, Intrum AG will carry out a credit check. Within 2 - 3 days after placing your order, you will receive the invoice from Byjuno AG by e-mail. The payment period for invoices is 20 days. Please transfer the full amount in due time to Byjuno in order to avoid unnecessary follow-up costs. If you prefer to receive your invoice by post, please contact Byjuno or follow the link in your invoice mail to request the invoice in paper form. 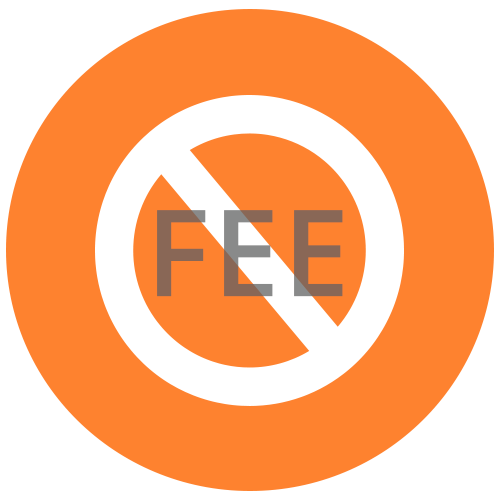 Please note that there is a fee for this, which you must also pay to Byjuno. If you have any questions about your invoice, you can contact Byjuno directly by phone at 041 227 05 05, or by e-mail at customer-care@byjuno.ch. CAN I PAY MY INVOICE IN INSTALLMENTS? If you have selected payment by invoice as an alternative in the checkout, you can divide the payment of your invoice into a maximum of three installments. 2 - 3 days after placing your order you will receive the invoice for your order from Byjuno by e-mail. Instead of the total amount you simply transfer a partial amount according to the following table. The installment payment will be activated automatically and you don't have to select it separately. Please note that the above amounts are minimum amounts which must be paid in any case in order to guarantee a timely and complete payment. Installment payment is only possible if you select payment by invoice in the checkout. I HAVE RECEIVED A PAYMENT REMINDER FROM BYJUNO AG. WHAT SHOULD I DO NOW? All invoices are managed by Byjuno. We therefore ask you to contact Byjuno directly. 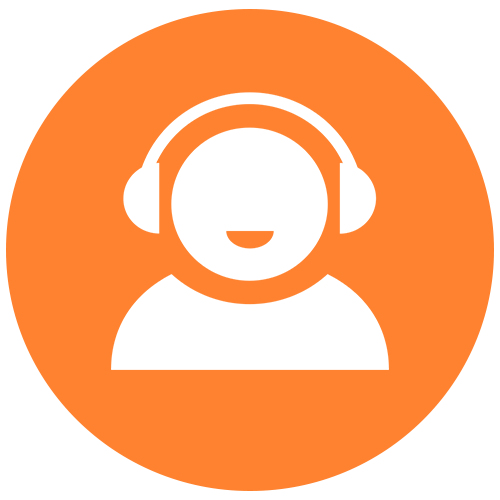 You can contact Byjuno's customer service either by phone at 041 227 05 05 or by email at customer-care@byjuno.ch. HOW DOES PAYMENT WITH PAYPAL WORK? If you choose to pay via PayPal, you will be redirected to PayPal at the end of the order process. If you are already a PayPal customer, you can log in with your user data and confirm your payment. If you are new to PayPal, you can either register as a guest or create a PayPal account and then confirm the payment. Your payment will be registered within a few minutes and your order will be shipped to you as soon as possible. HOW CAN I PAY BY BANK TRANSFER? After you have completed your order by clicking on "Buy", the account information and the amount to be transferred will be displayed on the next page. You will also receive a confirmation e-mail. This will also contain the information you need for the transfer. Your order will be processed as soon as the money arrives on our account - usually within 2-5 working days after the transfer. In this case please contact us at order@buysnus.ch and we will send you the requested information again. If you do not receive an order confirmation, there may be several reasons. Please check that your email address is correct. Another reason could be that your email server went down when we sent the email, or that the message ended up in your spam folder. It is also possible that your email storage has reached the limit set by your provider. HOW ARE MY CREDIT CARD DETAILS HANDLED? We put great emphasis on the security of our customers' data. All credit card transactions are carried out and secured by DIBS. Further information can be found in our Payment section. WHAT IS A CVV SECURITY CODE? CVV stands for Card Verification Value and is a three-digit number above the signature on the back of your card. The number is often used in online transactions because it ensures that you can show the card when making the payment. With us you can pay comfortably and safely with your credit card. We accept Visa and MasterCard credit cards. If an error occurs during your payment attempt, please check whether you have entered your card information correctly. The card number and CVV must be entered without spaces. Also check if the card is still valid and has sufficient coverage. Also make sure that the card is one of our accepted cards (Visa or MasterCard). Other problems may occur due to connection problems with your card issuer's bank. In this case, please try to complete your order later. If the error occurs again, please contact your bank. WHERE CAN I FIND MY ORERS? If you would like to close your account with us, please contact us via our contact form or send us an e-mail to info@buysnus.ch. Please enter the email address by which you're registered at BuySnus.ch. We will then send you an e-mail with your new password. It may take a few minutes for the email to reach you. Please also check your spam folder if you did not receive the email. In your customer account there is a category "My address book". Here you can store and manage up to 5 addresses, which you can then easily select in the checkout. This saves you having to re-enter your address each time you place an order. Please update your address book as soon as your address(es) change so that your orders are always sent to a correct address. After an order has left our shipping center, address changes are no longer possible. CAN I ALSO ORDER SNUS OUTSIDE SWITZERLAND? If you already have an account on BuySnus.com or BuySnus.com/EU/, you can easily login to BuySnus.ch with your registered email address and password. If you are new to BuySnus, you can create your own customer account in just a few steps: Go to "Login / Register" in the navigation left or top right on our page, fill in all fields marked with * and click on "Create account". Your privacy and the protection of your data are extremely important to us. We strive to make your shopping experience as pleasant as possible from start to finish, which makes the protection of your personal information very important to us. You can read about how we handle and protect your data in the data protection section. HOW DOES BUYSNUS.CH HANDLE MY PERSONAL DATA? The protection of your personal data has the highest priority for us and we use generally recognized technical and organizational security standards. We only collect your data in order to process your order and to improve our service. You can be sure that we will never pass on your personal data to third parties without your consent. HOW LONG ARE THE PRODUCTS FRESH TO USE? The shelf life of products depends on many factors that are difficult to control. We recommend keeping snus cool and dark. Snus is a perishable tobacco product that is best stored in a cool place. If stored correctly, the shelf life of portion snus is approx. 20 weeks and 14 weeks for loose snus. Dry varieties have a shelf life of 30 weeks. Certain snus brands, such as Odens snus, have a longer shelf life. IS THE SNUS BOUGHT AT BUYSNUS.CH FRESH? Our products come directly from the manufacturers and we receive fresh deliveries several times a week. That's why our snus is as fresh as it possibly could be! Snus is considered a perishable tobacco product, therefore we keep our stock as low as possible in order to always be able to offer you the freshest products. All products are stored refrigerated and almost all orders are shipped within 24 hours (weekdays) so you always get the freshest snus. DO YOU ALSO HAVE A LOCAL SHOP IN SWITZERLAND WHERE I CAN BUY SNUS? No, we only sell our products online. You are always welcome to browse through our huge range of snus on our website and place an order online. If our stocks do not cover the items in your order, we will notify you by e-mail as soon as possible. Your order will not be shipped until all ordered items are available. Partial deliveries are not possible.